Obtaining the best possible outcomes so you can get back to spending time with your child(ren). 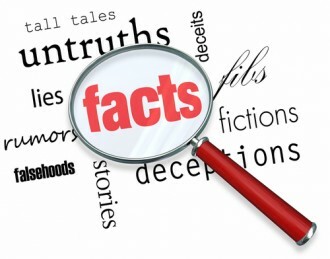 Elucidating the facts about child custody cases, below we have presented and dispelled some of the most common misconceptions about them. 1 – Moms always have priority in custody cases. Being misled by these myths about child custody could compromise your interests, a Littleton divorce & family lawyer explains. Here’s why. This is just not true these days. In fact, gender is not a consideration when it’s up to the court to rule on custody disputes. Instead, the most important factor impacting custody determinations will be what is in the child’s best interests. Some of the factors that impact that include the relationship the child has with each parent, the mental and physical health of each parent, and the willingness of each parent to put the child’s needs first. 2 – Kids can decide who gets custody. Nope! Although children can weigh in about their custody preferences (telling the court what they want when they are old enough to do so), children won’t have the final word on how custody is to be awarded/split. Only the parents can make this decision (if they can come to an agreement) – or the court will. 3 – Once the court decides on the custody split, that decision stands until the child turns 18. Experience changes to their family situation. 4 – I don’t have to abide by court custody orders if my ex doesn’t pay child support. Cause people to be placed in contempt of court. What is better to do in these situations is to file a motion with the court regarding non-payment of support. Once that has been done, it may also be advisable to file for a modification of the custody arrangement and get the court to officially change the agreement (rather than simply violating it). When you are ready to move forward with divorce, contact a Littleton divorce & family lawyer at Bahr, Kreidle & Flicker. Since 1983 we have been aggressively advocating our clients’ rights to help them successfully resolve their family legal issues. To set up a meeting with one of our lawyers and get experienced advice regarding your best options for keeping your divorce costs low, call us at (303) 794-7422 or email us using the form on this page.